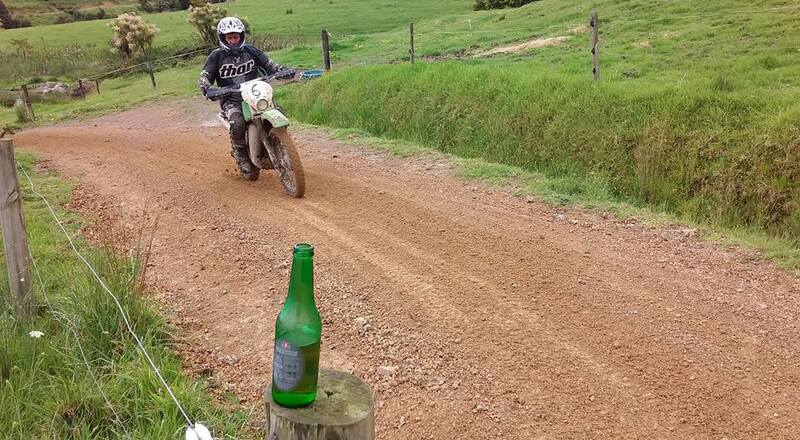 With several sections cut out after the overnight deluge Mike Bennett and his team at the The Farm, near Ngaruru, made the course as rideable as possible in the circumstances. 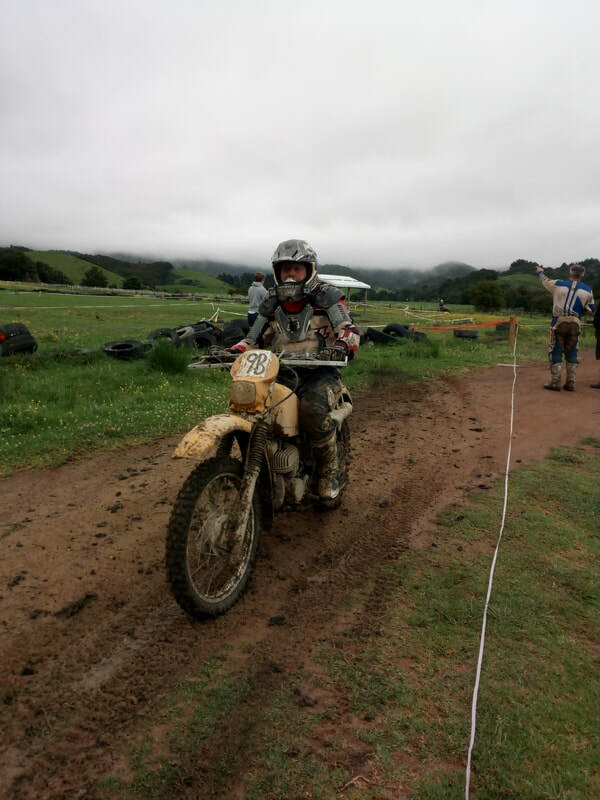 As it turned out most riders coped reasonably well and of course those who like mud conditions actually enjoyed it and seemed not affected in the slightest and if anything seemed to go quicker. Two special tests had been laid out, one being Mike's favourite snail labyrinth and the other a more conventional taped run starting by circling trees in a small valley and progressing to some fast, but muddy bush tracks with the bonus of a couple of stream crossings. With rain falling from 5.00am and right through the morning, ground conditions were very wet and several d.n.f.s were put down directly to water infiltrating elderly electrics, hardly surprising in retrospect and a reasonable incentive to replace those 30 year old plug caps and connectors. Of course by the time the first riders were finishing the rain had stopped, the clouds were breaking and the Farm's traditional gourmet burgers were feasted on in sunshine. Thanks to Mike and Ellen Bennett and others who helped and to Peter Groves and David Vass who missed riding the event to assist with running and setting up the event. Unfortunately the wet conditions deterred photography so we welcome any other images taken on the day.